Places for The City Law School's 2016 Senior Moot were taken up in nine minutes, a record time for the world-class mooting competition, sponsored by Falcon Chambers. Places were all taken up within nine minutes of the 2016 Senior Moot opening up on the Moodle Moot Module on Thursday, 17th December - the fastest take-up in the history of The City Law School’s most eagerly anticipated competition for budding advocates. 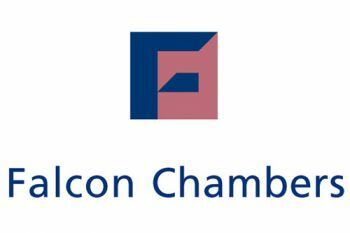 This represents an unprecedented and colossal demonstration of interest among the approximately 800 students eligible to take part in the competition, sponsored by Falcon Chambers, Barristers and Arbitrators specialising in real estate. Within the first 15 minutes of the Moodle Moot Module opening, there were a whopping 1500 page views. Students still interested in the competition but who did not secure a place should continue to check the sign-in on the Moodle Moot Module because if a competitor relinquishes a place, it is automatically re-released to eligible students. Moot Director at The City Law School, Joanne Moss, said: "Every year we have a few places returned by students, often because they cannot compete for reasons beyond their control. Sad as this is, it means that keen but previously disappointed students should not give up hope. The reallocation possibility is open until 6pm on Wednesday 13th January. Welcome to the Moot!" The Senior Moot 2016, is one of the most prestigious and valuable moots in the world. All students on City's BPTC, GDL, LPC and GE LLB courses are eligible to enter and attempt to secure one of the places. The overall prize pot now has been enhanced to £5,000. The new prizes are as follows: First Prize, £2,000; Second Prize, £1,300; and £850 to each of the other two Finalists. The Senior Moot this year will begin with a Round One consisting of 16 moots, each judged by a tutor on the Bar Professional Training Course. The Round One Documents Submission Period for skeleton arguments and authorities is Week 20, 9am Monday 11 Jan to 6pm Friday 15th January. Round One hearings take place in Week 21 (week commencing 18th January) only. The distinguished Finals Judges are Hugh Mercer QC of Essex Court Chambers and Professor Catherine Barnard of the University of Cambridge. The Finals will be held in the Supreme Court on Thursday, 5th May 2016.